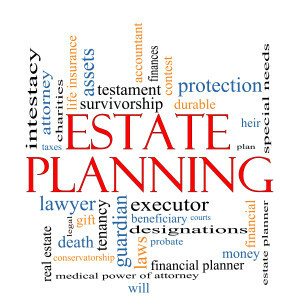 What are the estate planning basics that all gay couples need to know? This article will give you the information you need to take those first steps toward protecting your family. Some of the most common errors that gay couples make regarding estate planning basics can be corrected fairly easily. Before we discuss these, it is important to know that over half the American public, regardless of orientation, do not have a Will. The number one reason I hear is, “I don’t have anything so why do I need a Will?” The truth is that most people, when they know what the state requires when someone dies without a Will, realize that they have more than they think and that they want to decide what happens when they die. Maximizing non-probate assets – The rule of estate planning basics is to know what assets a Will passes to your desired beneficiary. Wills cover probate assets, or assets held solely in your name. Examples include real property, bank accounts and personal belongings. Personal belongings are key because many people do not like the idea of a distant relative rooting through their most cherished items after death. Wills do not pass non-probate assets, or assets held jointly with someone else, assets held in trust for someone else or any asset that has a designated beneficiary, like an insurance policy, a 401(k) or an IRA retirement plan. Property ownership – The most valuable asset for many people is a home, condominium or cooperative apartment. If you own that property jointly as a married couple (Tenants by the Entirety) or with someone you are not married to (joint tenants with right of survivorship), then that property will pass directly to the surviving co-owner. If, however, you are not married and own the property with another person and the title to the property simply states both names, without the words, “joint tenants with right of survivorship,” then your half interest in the property must pass through your Will. This form of ownership is called “tenants in common.” One of the most estate planning basics is to verify on your title document exactly how you own that property with another person. 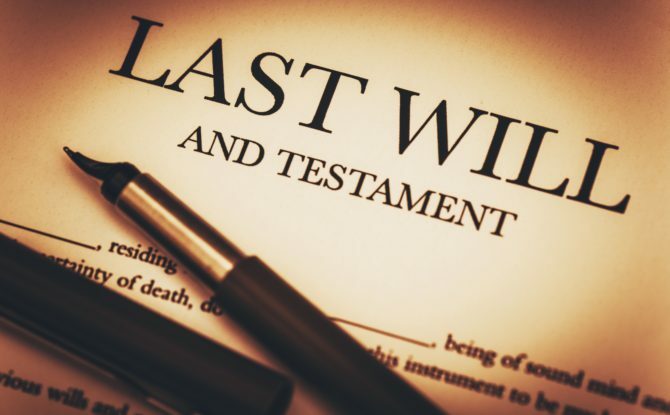 • Last Will and Testament – A Last Will and Testament allows the drafter of the document to control the distribution of their assets upon death. • Durable Power of Attorney – This document allows the drafter to authorize another person to make financial decisions for them. It authorizes, among other things, payment of debts, collection of payments, redistribution of assets, withdrawal of assets from a bank account and the sale of property. • Designation of Guardian for Property Management and/or Personal Needs – If a person were to be judicially declared incompetent or incapable of managing their property or themselves, the court would appoint a guardian for that purpose. The guardian is usually a family member. This document allows the Principal to designate who that guardian would be. • Living Will – A Living Will states exactly what measures a person wants or does not want if certain critical and specifically outlined medical conditions arise. • Medical Power of Attorney / Health Care Proxy – This document allows a designated person to have access to medical records and make specified medical decisions for the Principal. • Priority Visitation Directive – A Priority Visitation Directive specifies who the Principal prefers to have priority visitation privileges, usually over family members. This is particularly important if you are no married. • Affidavit of Burial or Cremation – This document ensures that a funeral director or funeral home administrator follows the instructions given them by the person designated in the affidavit. Without estate planning basics – If you are married, now that marriage equality is the law of the land, certain protections are guaranteed. Your assets will pass to a surviving spouse, and you children, in defined percentages according to the state in which you live. Your spouse will be allowed to make medical decisions for you, however, financial decision making requires an executed Durable Power of Attorney. If, however, you want to make sure that specific items go to anyone other than your spouse and/or children, you must have a validly executed Last will and testament. When you are considering the estate planning basics that all gay couples, and individuals, should have, please consider me a resource. For more information the basics for estate planning for gay couples, contact Anthony M. Brown at Time for Families and speak to a specialist family lawyer to secure your and your family’s future.